Brighouse Town have signed Rarmani Edmonds-Green on loan from Huddersfield Town. 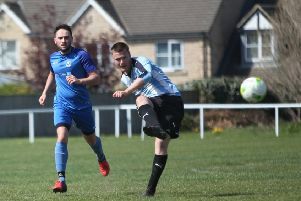 The 20-year-old central midfield player or defender is expected to come into contention for a place in Brighouse’s squad to play Stamford at home in the Evo-Stik NPL East division on Saturday. Edmonds-Green joined the Terriers on his 17th birthday in January, 2016. He hails from Peckham in London and came to Town’s attention during his time with the Nike Academy. Edmonds-Green was the club’s Under-18s captain in the 2016/17 season before stepping up to the under-23s. He was named ‘Defender of the Tournament’ in the Under-19 Champions Trophy in April last year.